Rachel Malonson graduated from Magnolia High School. Malonson's brother says people have never really been able to pinpoint her ethnicity. Malonson entered an annual UT Miss Black pageant hosted by Kappa Alpha Psi fraternity, but she had no expectation of winning. "I remember texting my sister before and I was like, honestly I don't even think I'm going to place," said Malonson. After the UT Kappa Alpha Psi chapter posted pictures of the newly crowned winner to Twitter, the tweets began to cascade. Many questioning how such a fair-skinned woman could win the UT Miss Black pageant. One tweeted reads: "soooo this is a joke right?" Another tweeted: "I doubt she has ever dealt with some of the harsh realities of what it actually means to be "black" but congrats." While winning the pageant came as a surprise for the beauty queen, the response she received was the biggest surprise for Malonson. "Someone literally asked me, 'Are you black? Can you prove it to me?' I was like, 'Yeah, my dad's black and my mom's white,'" Malonson said. 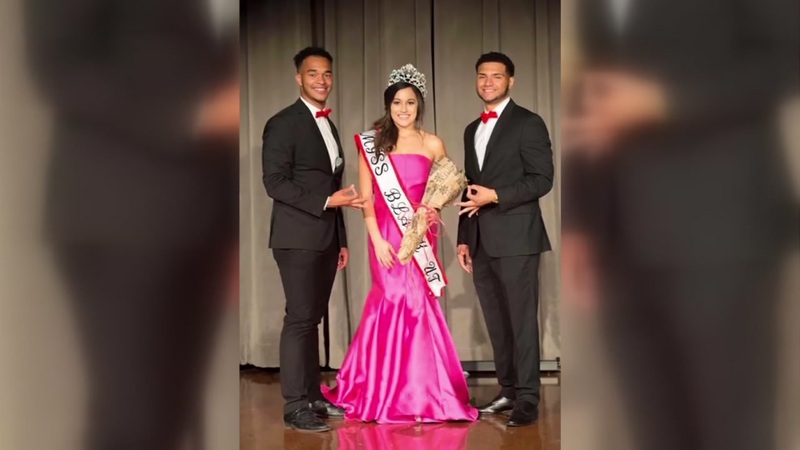 The Iota Delta chapter of Kappa Alpha Psi said, "The Miss Black University of Texas Scholarship Pageant was established in 1982 with a singular goal in mind -- to support and uplift African American women. Prior to its inception, African-American women had limited scholarship opportunities on the university campus." "I don't fit the stereotypical look that you would think a black person would fit," said Malonson. Rachael's brother told ABC13 that her siblings have always taught her how to handle the questions of her racial identity. He said it's disrespectful that people say Rachael isn't black enough for the crown. UT professor of African American Studies Kevin Cokley said there is generation-long issues playing out. "People of African descent who are more phenotypically black, if you will, have not gotten positive messages about their looks and there are just too many examples to count," Cokley said. "I want people to be able to break away from those stereotypes," Malonson said.